DigitalOcean, Inc. is an American cloud infrastructure provider headquartered in New York City with data centers worldwide. 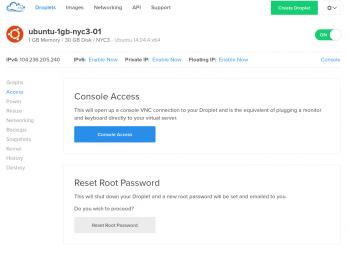 DigitalOcean provides developers cloud services that help to deploy and scale applications that run simultaneously on multiple computers. As of January 2018, DigitalOcean was the third-largest hosting company in the world in terms of web-facing computers. DigitalOcean also marked its presence in Deloitte Technology Fast 500 List in 2018. Last updated on September 13 2016. DigitalOcean recommends using the services of CloudFlare to mitigate DDOS attacks. Backups are available for a fee. Snapshots are available for a fee ($0.10 per GB per month). Network bandwidth, CPU usage, disk I/O. Clean, modern, simple, full featured. Very active DigitalOcean developer community, large variety of guides and tutorials. Block $0.100 Volumes are encrypted at rest, replicated multiple times and can be resized live. Snapshots $0.050 Snapshots are created on users requests and are images of block storage disk volumes. Object $0.020 250GB minimum Object storage is called "Spaces" at DO. Backups $0.050 Prices vary depending on droplet size. Prices vary depending on droplet size: backups are 20% of droplet storage cost. The Screener shows all DigitalOcean plans side by side with their grades in 5 categories. We conducted 5 different types of tests for DigitalOcean - 1GB 3 cores. Review the results and compare this plan to its competitors. This plan was tested 2 times at vpsbenchmarks.com. The table below shows all trials run on the 1GB 3 cores plan and the web response times for every one of those. 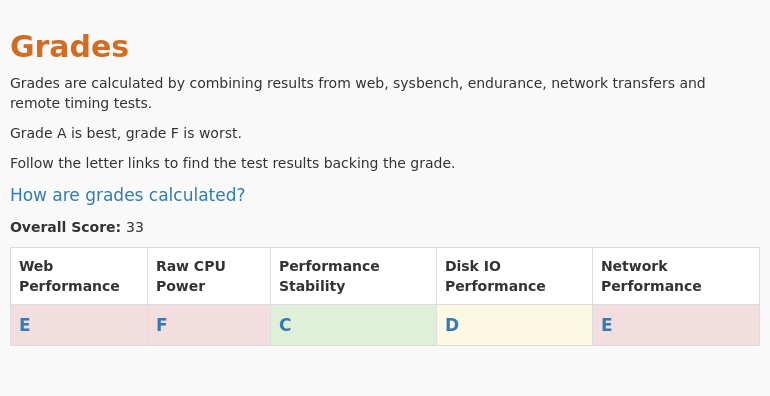 We conducted 5 different types of tests for DigitalOcean - Standard 2GB 1 core. Review the results and compare this plan to its competitors. This plan was tested 2 times at vpsbenchmarks.com. The table below shows all trials run on the Standard 2GB 1 core plan and the web response times for every one of those. 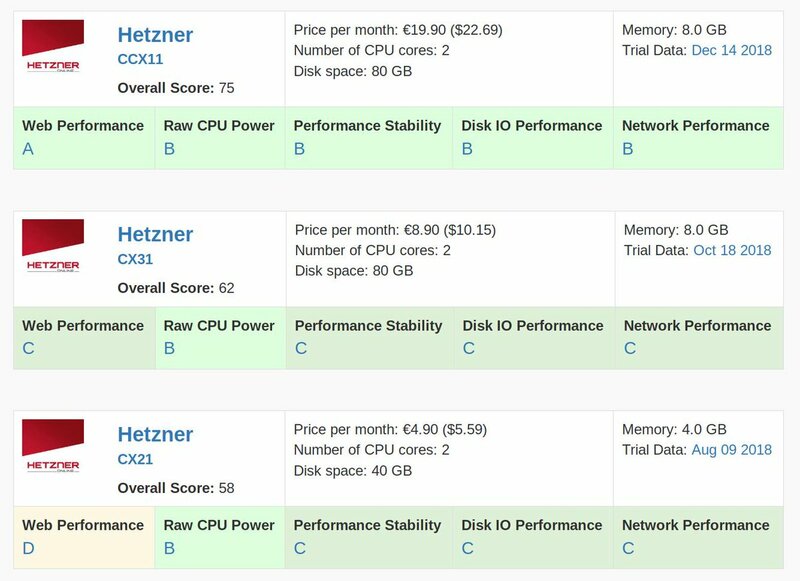 We conducted 5 different types of tests for DigitalOcean - CPU Optimized 4GB. Review the results and compare this plan to its competitors. This plan was tested 2 times at vpsbenchmarks.com. The table below shows all trials run on the CPU Optimized 4GB plan and the web response times for every one of those. We conducted 5 different types of tests for DigitalOcean - Standard 1GB 1 core. Review the results and compare this plan to its competitors. This plan was tested 2 times at vpsbenchmarks.com. The table below shows all trials run on the Standard 1GB 1 core plan and the web response times for every one of those. 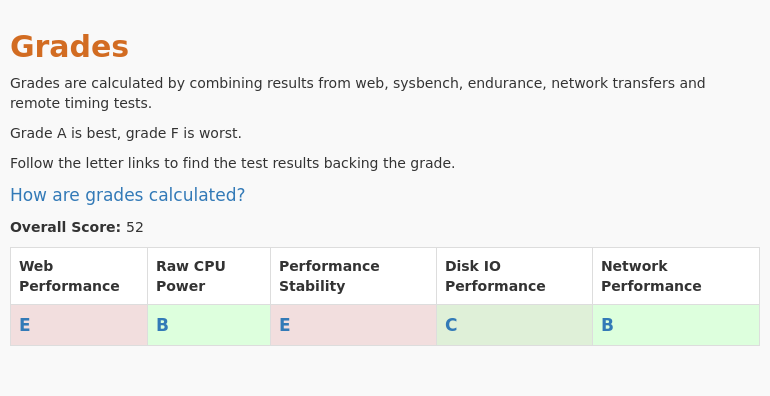 We conducted 5 different types of tests for DigitalOcean - Standard 4GB 2 cores. Review the results and compare this plan to its competitors. This plan was tested 1 times at vpsbenchmarks.com. The table below shows all trials run on the Standard 4GB 2 cores plan and the web response times for every one of those. We conducted 5 different types of tests for DigitalOcean - General Purpose 2 cores. Review the results and compare this plan to its competitors. This plan was tested 1 times at vpsbenchmarks.com. The table below shows all trials run on the General Purpose 2 cores plan and the web response times for every one of those.